He’d been her friend for years. He said he loved her. Then she realised she didn’t know him at all… When everything seemed to be falling apart in Sophie’s life, she was thankful for her friend Kas, who was always at the end of a phone, ready to listen and to offer comfort and advice.Her father’s cold dislike of her and then her parents’ divorce had left her with a deep distrust of men. But, gradually, Kas made her believe there was at least one man who truly cared about her. But she was wrong. At first when Sophie went to stay for a few days with Kas in Italy, he was kind and caring, as he’d always been. But three days after she arrived, everything changed. His eyes were cold as he described the things he expected her to do ‘for love’. But soon Sophie’s bewilderment turned to fear as he punched and shouted at her and threatened to kill her adored younger brothers if she didn’t do exactly as she was told…to sell her body on the streets to pay off Kas’s debts. Terrified of Kas, the police and the men whose pleasures she was forced to satisfy, Sophie worked seven nights a week for the next six months on the dark and lonely streets of a town in northern Italy. 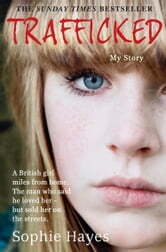 Subjected regularly to Kas’s verbal, mental and physical abuse, she knew she would never escape. And then, one day, after she’d been admitted to hospital with stomach pains – and knowing that Kas would kill her if he found out – she dared to phone her mother. But who would reach her first? This is the most upsetting book I have ever read! 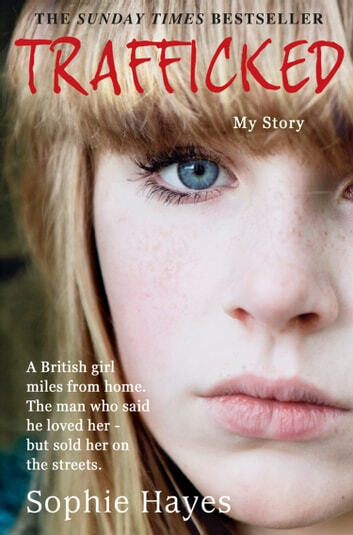 But I had to read it to the end and I am glad I have, Sophie has put her story across with such dignity, please please read it, it will upset you but also open you're eyes to what happens! Bravo to your mum and step father Sophie for pre empting that things were not right!! Wishing you much happiness!!!!!! It was a book that managed to stir a lot of emotions while reading it. How brave and courageous she was to write a book about her experience. I pray for all the families that have had to endure such a horrific injustice. Frightening read especially because it was a true story and happens daily around the world!! !